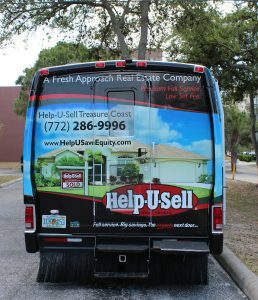 Roberta Pickens, who recently rejoined Help-U-Sell Real Estate with a franchise office on the Treasure Coast in Hobe Sound, visited the Help-U-Sell headquarters this week in Sarasota with a cool ride that was easy on the eyes. 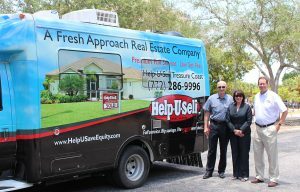 Our Chief Development Officer, John Powell (L) and Director of Franchise Sales, Dave Patterson (R), took a moment to join Ms. Pickens and check out the work. 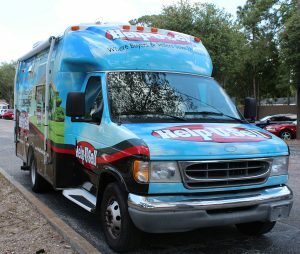 It was a great year for the Help-U-Sell Family and we’re incredibly proud to share the results of all of the work and effort put in to make this success. Here’s a look at our top producers for 2016. 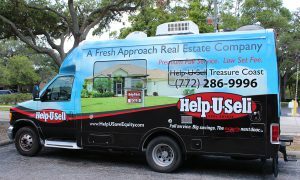 Read the Spring 2017 of Help-U-Sell Re-Connect here.